In Outlast you play as a journalist named Miles Upshur who recently received an anonymous tip about some strange goings on at Mount Massive Asylum, an old psychiatric hospital that has been taken over by the shady Murkoff Corporation. Upon arriving at Mount Massive Asylum it’s clear that something is not right. The place is pitch black and seemingly abandoned yet some lights are still on, casting unsettling silhouettes upon the windows. As you enter the asylum you realize that your predictions were correct, something has gone terribly wrong here. There is blood all over the place, dead bodies, severed heads and the residents have become violent and seemingly inhuman. Armed with nothing but a camcorder and a notebook you must navigate the darkness alone and afraid. It is literally life or death as Upshur struggles to escape from this hell he has found himself trapped in that is slowly stripping him of his own sanity. Outlast keeps players on the edge of their seats as the level of fear is pushed to uncomfortable levels. Outlast features a thrilling narrative that is extremely captivating. You will want to push forward, force yourself to overcome your own fear as you uncover mysteries and reveal the secrets hidden away deep in the asylum. What has the Murkoff Corporation done and why? Why are the Mount Massive residents acting this way and how many lives have been taken by the darkness? These questions and more are answered, though you may not like truth as it reveals the darkest, most raw aspects of human nature. 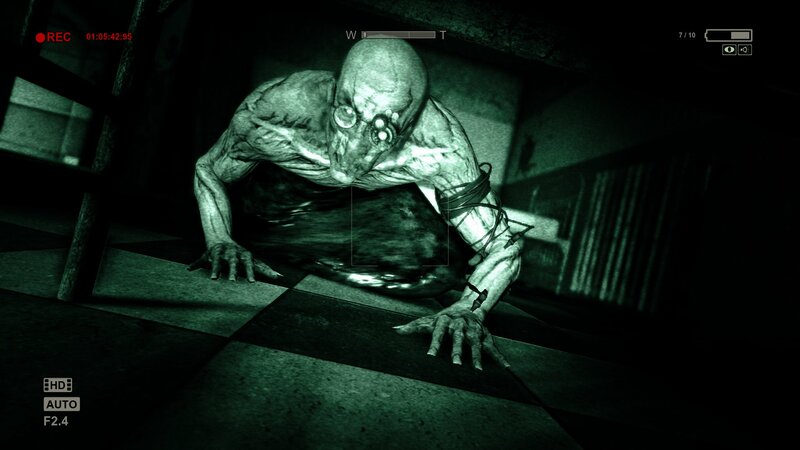 Outlast is played in the first-person perspective. You are equipped with a camera that is meant to record everything you see, allowing you to zoom in and out as well as toggle the night vision which lets you to see through the darkness. There are some minor platforming elements to the gameplay as you occasionally have to jump, climb, vault over objects, slide in-between tight spaces and crawl under low areas. I feel that this is very unique to Outlast as most other games in the survival horror genre rarely use the ability to maneuver around the environment in this way as a major gameplay dynamic. Being able to do these things also brings more excitement to the game as a whole, forcing you to think outside the box to navigate the asylum as well as protect yourself from enemies. There are no weapons of any kind to be had in Outlast. 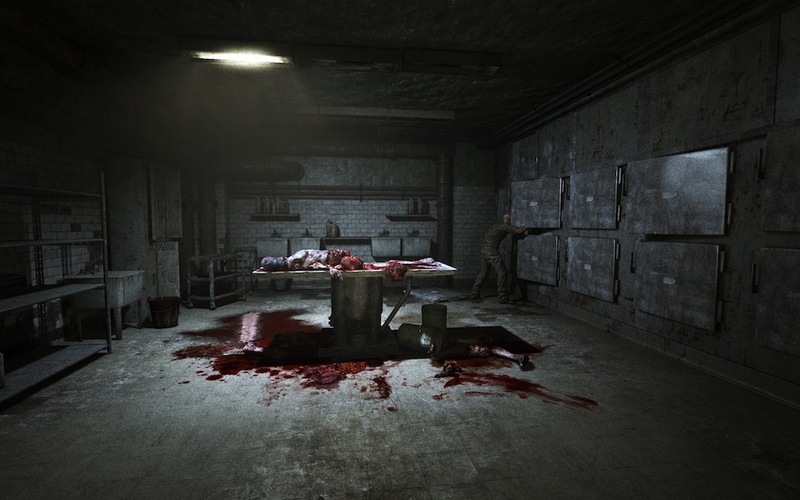 You must utilize your surroundings by running away and finding places to hide (such as under beds or inside lockers) in order to survive in Mount Massive Asylum. Since the night vision mode uses up the camcorder’s batteries you must find batteries around the environment to continue using this feature, which is highly necessary. As is the case with most games in the survival horror genre, supplies are limited and finding the batteries you need will require a little bit of looking around in dark corners and behind closed doors as well as conservation of what you do find. One fun and unique feature that the PlayStation 4 version of Outlast offers has to do with the light on the top of the DualShock 4 controller. The light will change colors depending on whether or not you have the night vision activated; it is white when night vision is inactive and a greenish color when night vision is active. I found this to be a very fun feature when playing the game in the dark since it illuminates the room in the same shade of light as the night vision appears on the screen. Collectibles can be found around the environment that will give the player insight on what has been going on in the asylum and why everything is the way it currently is. These are helpful for general understanding and also lead to a total of two trophies. On the PlayStation 4 Outlast looks and feels very smooth and functional. The graphical quality is exceptional, providing plenty of clarity and realism to areas such as the one pictured above. When using the camcorder’s night vision function the environment looks perfectly gritty which is great considering the surrounding areas are pitch black and the camcorder takes over the entire screen. Outlast is full of horrific, violent and crude imagery thus creating a terrifyingly disturbing environment that keeps you feeling afraid even when you are not in immediate danger. This really added to the amplified fear that you should experience throughout the game. There is not a whole lot of spoken dialog from Miles Upshur, but plenty of the residents as well as other major characters do speak which gives proper attention to the voice actors as well as the overall dialog. While this game doesn’t feature an extensive musical soundtrack it makes up for it with intense environmental sound effects. From the creaking of old floorboards to the sound of the main character breathing heavily in frightening situations, this game is made to be played with the volume turned up. The added emphasis on sound effects really adds to the horror factor pf the game. When paired with the amazing graphics and generally creepy look of the game, it all makes for one seriously frightening playthrough. I would recommend playing Outlast in the dark on an HD television with a gaming quality headset for the most immersive experience possible, if those things are available to you. Otherwise, raising the volume on the television will do just fine. Outlast is a game I have been waiting to play on the PlayStation 4 for a while now and I was not let down in any way. I found this game to be the epitome of survival horror as it embodies all the best qualities the genre typically offers with its own added flair. 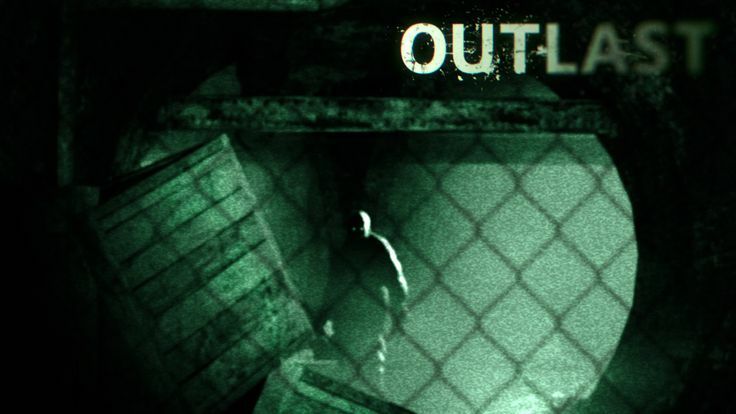 If you are looking for an amazingly scary game to play then Outlast is the way to go. It is undoubtedly the best game I have played yet this year, and it is definitely the best survival horror game I have ever had the opportunity to play.